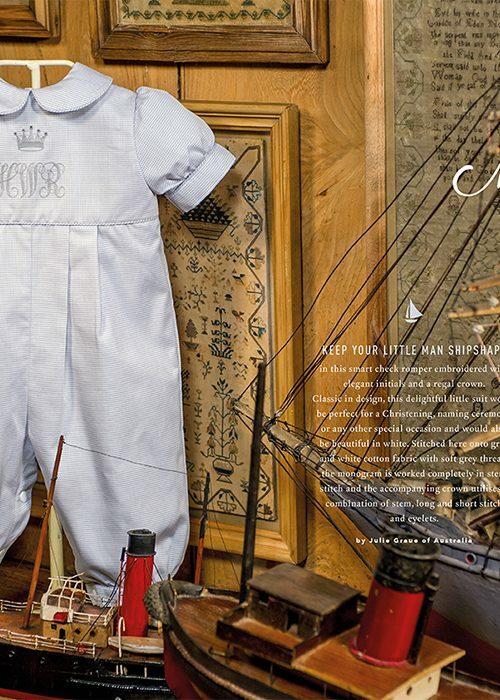 First Mate by Julie Graue is a delightful baby romper with monogram and crown. 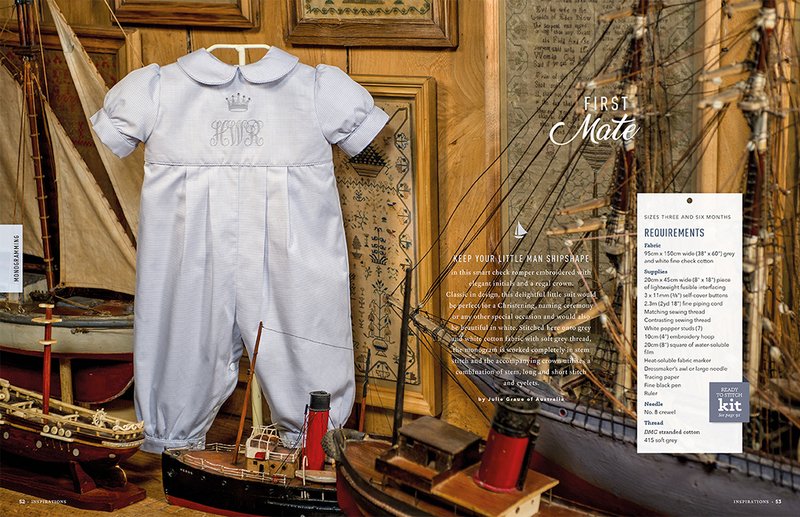 Delightful baby romper with monogram and crown. 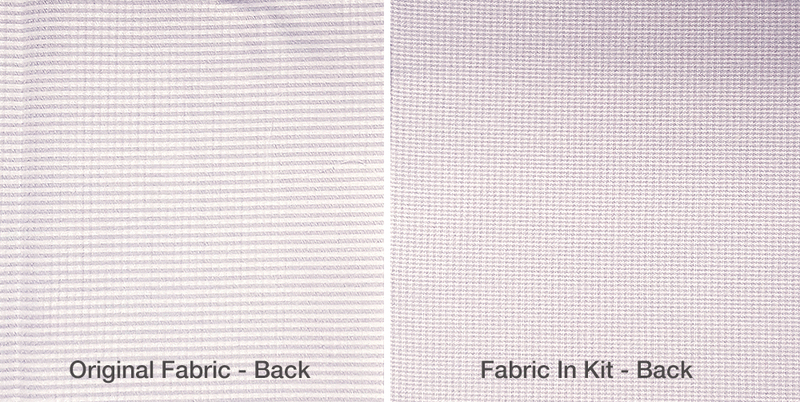 Sizes 3 and 6 months. 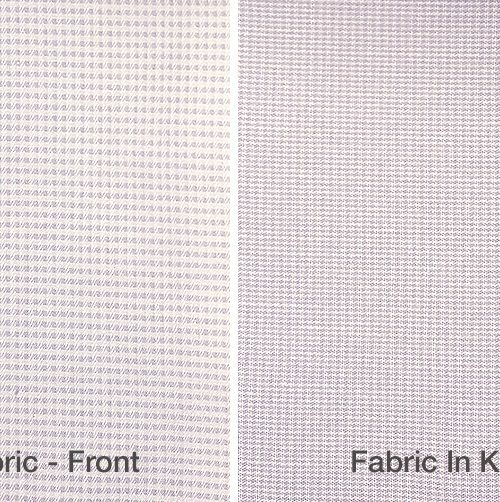 *FABRIC NOTE - The fabric included with this kit varies slightly to that used in the original project (see images above). 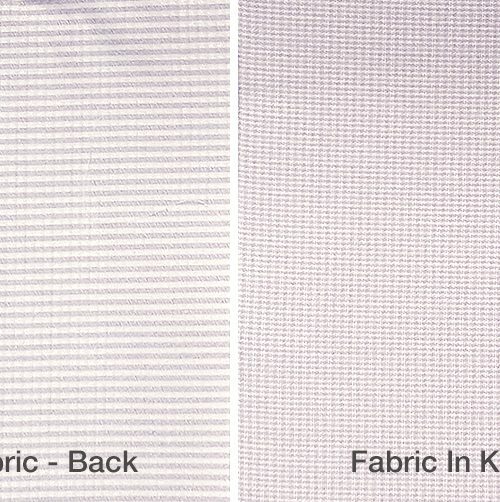 While the front of both fabrics is comparable, the back of the original is striped which creates the effect on the piping. 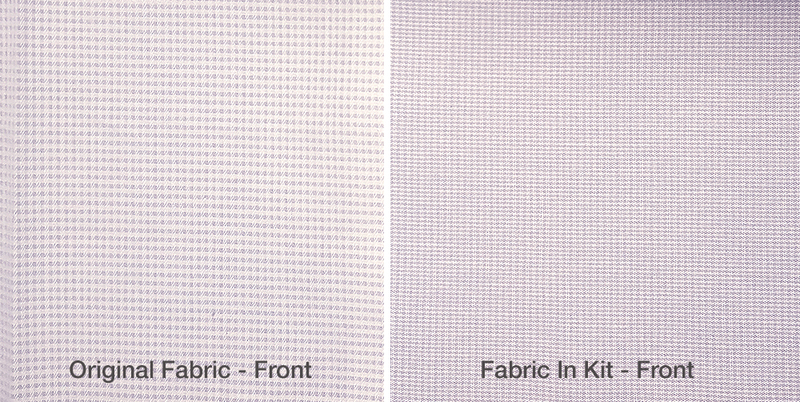 Using the fabric included with the kit will create a slightly different result than that pictured. 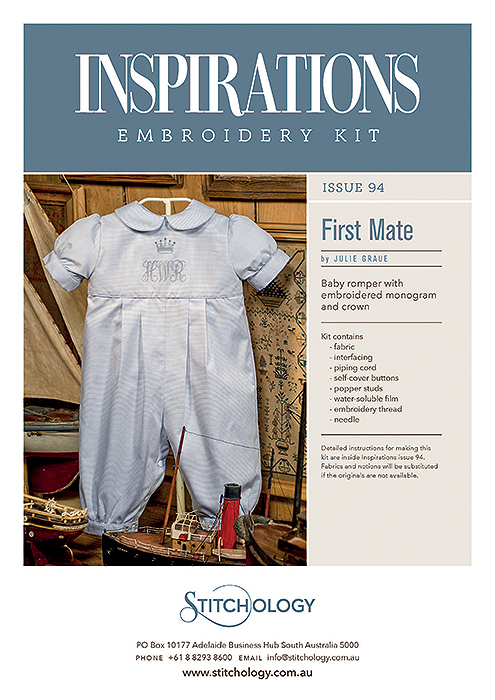 The instructions for this product are available within 'Inspirations Issue 94' and are not included with this product.